A long-time cold blue standard in the industry. Simply wipe on, and wipe off. 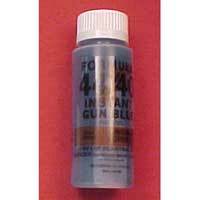 This is the touch-up cold blue of choice in the Log Cabin's gun shop. 2 oz. bottle.